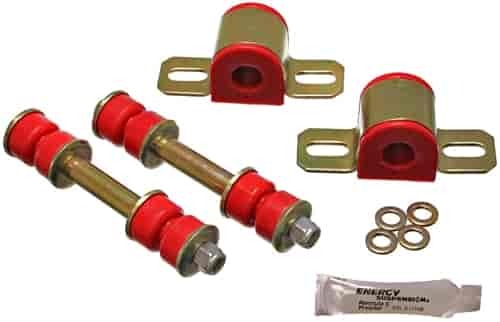 Does Energy Suspension 3-5161R fit your vehicle? 3-5161R is rated 5.0 out of 5 by 1. Rated 5 out of 5 by EvilOpti from Great Fit I installed this on my 97 Camaro Z28 when I rebuilt the rear suspension. I used the factory rear sway bar and the fitment was perfect. Very high quality product and is the only bushing I use. There is some noise with the poly bushings but every brand has it. Very fast to deliver and very friendly customer service. This is why Jegs continues to receive all of my hard earned money and not my wife!